Event on: 23 - 25 November, 2020. Messe Düsseldorf India Pvt. Ltd. is a fully owned subsidiary of Messe Düsseldorf GmbH which is a global player both as a trade fair organizer and as a provider of trade fair related services for exhibitors and visitors. 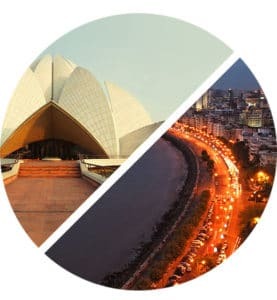 Since inception, the Messe Düsseldorf team in India is dedicated to closely work with both Indian as well as international partners and further be a catalyst for the development of industry in India. With two centres in India – New Delhi and Mumbai – Messe Düsseldorf has created locations for planning and holding trade show events which guarantee an international level and supreme quality. The face of India has changed at a staggering pace over the past two decades. In the wake of the universal trend towards globalization, India, too, recognized the opportunities opening up for its economy – and used them methodically. Among the global players. India’s consumer goods industry took advantage of its ability to produce at low unit costs. Entering the global markets tapped new customers for Indian companies and increased their capacities. The result: a stable performance in industrial production – and growing investment needs.